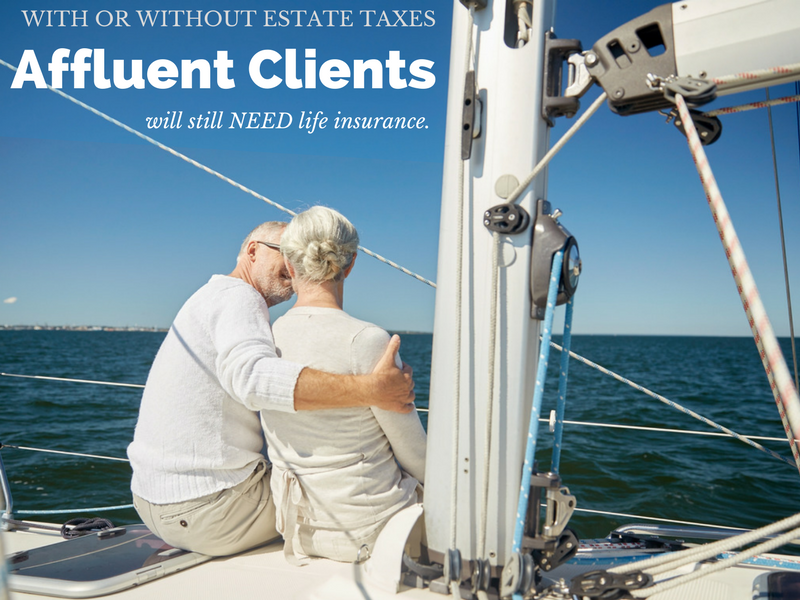 Life insurance provides a way for the wealthy to equally distribute assets to their heirs. When non liquid assets, like businesses and real estate are involved, life insurance can be the key to passing these on monetarily. The pre-tax equivalent Internal Rate of Return (IRR) at life expectancy is very attractive for a guaranteed fixed financial asset. It makes sense for a balanced portfolio of a wealthy family to allocate a portion to life insurance as an asset class. This will allow the client to take more financial risks with the remainder of the portfolio since guaranteed life insurance protects the principal. A life policy can also provide asset protection, as the ultra-wealthy can be a target for lawsuits. Life insurance is often exempt from judicial process by judgment creditors. Life insurance offers a number of tax advantages. One of these advantages, is that it provides business owners with an effective, and often "tax-free," way to pay for certain selective corporate benefits for owners and key employees. Businesses should always have a life insurance policy in place to financially protect the company in the event of a loss of a key employee or owner. If a key person in a business dies, the funds would be available in a life insurance policy to cover hiring a new employee. A Buy-Sell Agreement is equally important in protecting the business and its owners. Should an owner die, the surviving owners can buy out the family of the deceased and the company would remain intact. Life insurance can also offset capital gains taxes when capital assets (stocks, real estate, shares in a closely held business) are sold after a death. If estate taxes are repealed, the stepped up cost basis of capital assets will probably be eliminated as well. The original cost basis of the asset (original purchase price) will then carryover after death. Combined federal and state capital gains taxes could shrink the asset value by 20-25%. Often, in order for an ultra-affluent individual to be approved for a loan, usually of a substantial amount given their financial status, they are required to have life insurance. This provides the protection to the bank (lender) that the debt will be paid off should anything happen to the individual. So you can see, there are a number of reasons why affluent clients should still purchase life insurance. It's important to note that 18 U.S. States still levy state estate taxes. The tax rate can be as high as 16%. Life insurance can offset these state death taxes.